The man was KGB double agent, Oleg Gordievsky, who had been supplying MI6 with invaluable secrets for over a decade and the Safeway bag was a signal that he wanted to initiate his escape from Soviet Russia. For the conclusion of this year’s Dulwich Literary Festival, we turn to the shadowy world of spies and the Cold War. 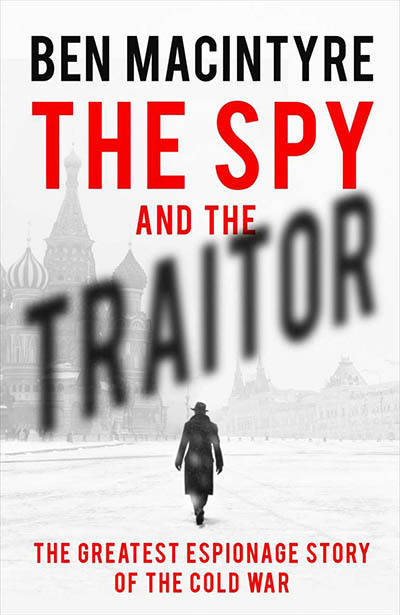 In his new book, The Spy and the Traitor, leading historian and bestselling author Ben Macintyre explores this thrilling tale of espionage, betrayal and raw courage that changed the course of the Cold War forever. Described as ‘The best true spy story I have ever read’ by none other than John le Carré, don’t miss the chance to hear Ben talk about one of the boldest and most extraordinary episodes in the history of spying.